When editing pages in NAV 2013, you can set styles to draw attention to values. This is done by using the property value for style on a field and setting it to a pre-defined value. Note: The styling does not apply in the Web Client. 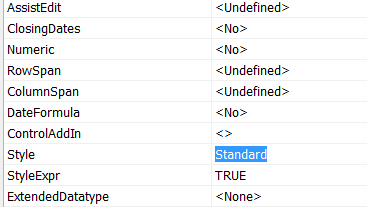 Here is examples of how values will appear with the style applied on the page from NAV 2013 base installed on Windows 8.